There are tons of products on the market, one of the most known brands being Nikwax. With a wide range of products they cover almost every need of an outdoor enthusiast from down to leather, gore-tex and different other type of fabrics. Their main competitor is Granger’s having a similar range of products. If you care to stick around I’ll be sharing my thoughts regarding the ones I’ve used. 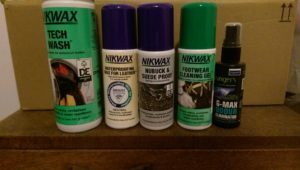 Nikwax Footwear Cleaning Gel – As the name suggests, it’s a cleaning product for footwear. Very easy to use, though the sponge came off from the second use. Works fairly well as long as the leather doesn’t have any stains on it. Even after several washes my yellow Cubes still have an oil spot. I might as well try something else on the future. Nikwax Nubuck & Suede Proof – Must be about 6 years since I first bought one to use on my trekking boots for a multi day winter hike. It’s a winner. Keeps the leather dry and maintains goretex breathability. My old Scarpa Kailash weren’t even water proof but I could still cross streams without the fear of getting wet. It does indeed darken bright coloured materials. After two seasons I went ahead and reproofed my B3 Cubes. Since it’s Perwanger leather I didn’t want to wax it and loose the smooth finish. If you don’t count the grey-ish look of the leather I’d say the results weren’t that bad. 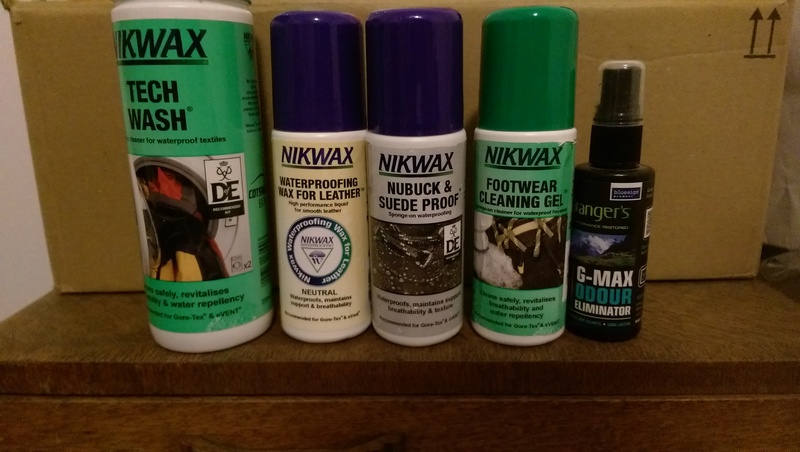 Nikwax Waterproofing Wax for Leather – I’ts a neutral colour so quite versatile. Mostly recommended for smooth leather but also works on suede. But only if you don’t mind the shiny look. I’ve used it from gloves to street shoes and always been happy with the outcome. Just don’t forget to polish it with a damp cloth for that shinny look. Granger’s G-Max Odour Eliminator – A tinny tube that easily slips in you pack pocket, ready to be used whenever you bots, yes you guessed it, stink. There are tons of products on the market that claim to be effective but most of them end up being a waste of money. So does it really work? It must be as my footwear doesn’t retain any of the bad smell. Even after two weeks hiking 10h/day in 35C I can still take them off without being worried about the environment. I obviously always have clean socks and wash the insoles, which also helps, but never the inside of the shoe so that says a lot about the product. But don’t expect wonders if you wear the same synthetic sock for 3 days and don’t wash your feet. Nikwax Tech Wash – Liquid detergent for waterproof garments. I used it one and was quite disappointed with the results. My jacket was still dirty after the wash. It’s expensive and not effective. It also requires 100 – 200ml of product for a wash. It’s a waste of money. Instead I use a Non Bio Liquid Detergent on a double cycle wash. Haven’t had any problems with my Goretex jacket, still waterproof after 4 years. Granger’s Performance Repel – It’s a spray-on waterproofing liquid that doesn’t require heat activation. And it’s a very good one. I used it on both E-vent and Goretex and was happy with the results. Simply spray on your garments right after washing cycle. Just minutes after you can see the coating layer. Wipe the excess and let it naturally dry. Better results and easier than the wash-in one from Nikwax. For all my other outdoor clothing, as I’v already mentioned above, I use a non bio liquid mild detergent. Found it to have better results and much more cost effective than tech ones. The key point here is that no matter what your budget is, if it doesn’t damage the fabric, then go ahead and use it. 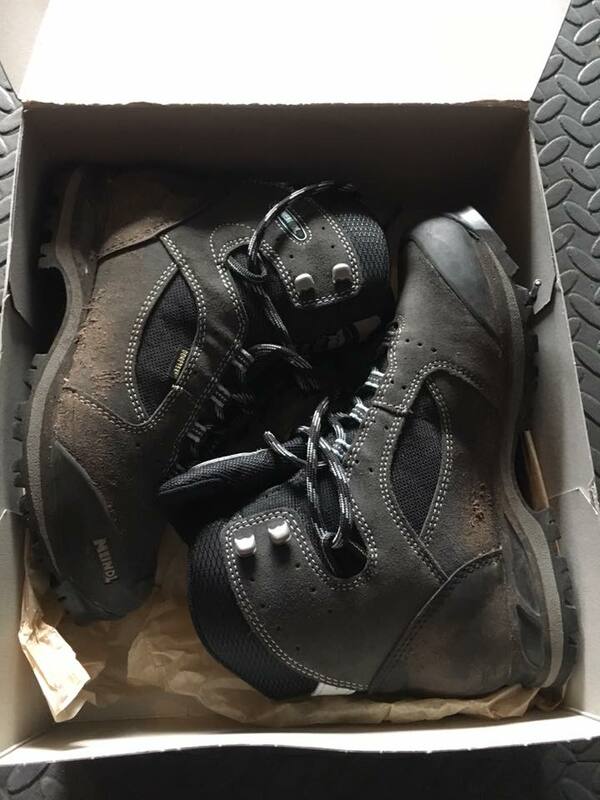 Please don’t store you dirty clothes and boots and expect the same performance as when they were new. Have some consideration for the environment. The more you wash and proof them, then longer will last, the less waste to be produced.